Who among 당신 have a copy of this picture? He makes his son feel secure and loved- can 당신 picture baby Chuck shouting “Daddy!” and happily running into Bart’s arms? Pfft. Never. I mean, obviously. 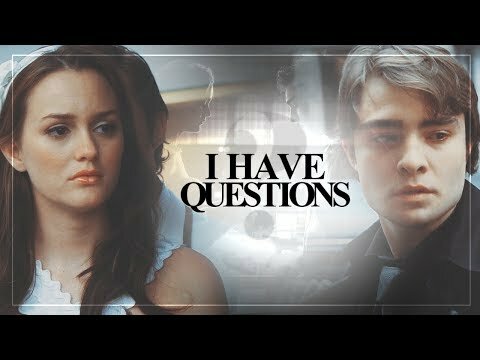 Chuck/Blair has been a near-constant battle. Games were part of the foundation of their relationship ("You and I bonded over a mutual 사랑 of scheming"), games were part of their undoing. Season 2 is inundated with dialogue about games and stakes, winning and losing. Games + Chuck and Blair's king and 퀸 pretensions = every chess and war cliche reference in the history of ever. CosmicLoveCB has many, many feels after watching the premiere of the final season of GG. First, it’s been a LONG TIME since we were interested in the story as a whole, rather than just wringing our hands and hoping against hope that Chuck wouldn’t end up killing himself 의해 the end of each episode. So there’s that. B: Agh! You`ve got to be kidding, I do not believe this! From which episode? "A thin Line Between Chuck and Nate"